The insurance broker’s shares rebounded after it ditched its pursuit of Willis Towers Watson a day after admitting interest. As miner Barrick is finding, it’s awkward sticking with a deal investors distrust. Moving on early helps avoid permanent dents to credibility. The Aon Corporation building is pictured as part of the Los Angeles, California skyline February 9, 2012. 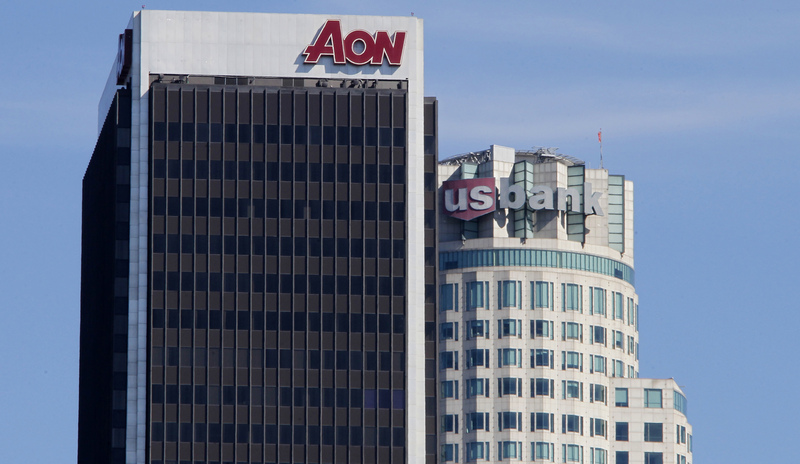 Aon said on March 6 it had scrapped plans to pursue a merger with rival insurance brokerage Willis Towers Watson, a day after it revealed it was in the early stages of considering an all-stock offer for the Irish company. Aon did not give any reason for abandoning the deal. Shares in Aon were up 5.06 percent at $165.21 by 1517 GMT on March 6, while shares in Willis Towers Watson were down 6.5 percent at $170.17.